WASHINGTON: Amtrak is inviting people to unwind, relax, and experience two days of long-distance train travel before South by Southwest. More than 30 digital leaders, innovators, and entrepreneurs are participating in #AmtrakLive aboard the Texas Eagle line, which is traveling from Los Angeles to South by Southwest's home in Austin, TX, from March 5 to 7. The group on board the train will include author and viral marketer BJ Mendelson and Benni Leigh, head of lifestyle at tech-focused media company Makers Studio. The participants will collaborate and share the scenic views of the Southwest from a reserved observation car on the train. They are also set to provide updates using the #AmtrakLIVE hashtag on Twitter and Instagram. Fans and followers can interact by using the hashtag themselves. On board the train, there will also be an opportunity for travelers to interact in places such as the dining car, where there is community seating. Amtrak is hoping to use the festival to expose a younger audience to long-distance train travel and show them how it connects people to more than 500 destinations across the country, said Julia Quinn, Amtrak's director of social media. "Everyone who's ever been to SXSW knows you're hyper-connected – you have three phones, six chargers, and are really intensely plugged in," she said, adding that it is a great opportunity for those invited to close their computers and take in the scenery. Quinn added that the participants each have a large social media following, and Amtrak is hoping they will tell the story of their trip through channels such as Twitter and Instagram. Amtrak will also set up a Storify page to aggregate photos and tweets, she said. "The idea of when you usually take a trip, you take tons of pictures and get lost in the experience. You get home and unwind, then take to your social media channels. We kind of hope this had a pretty long tail on it," explained Quinn. The program is building on the company's #AmtrakResidency campaign for writers, as well as its history of providing group travel for people ranging from extreme skiers to adventurous families, it said in a statement. 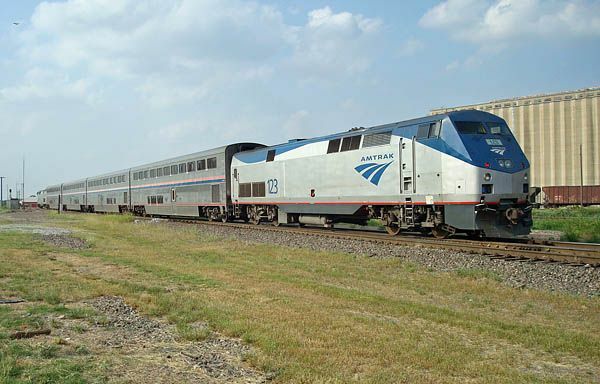 The Texas Eagle is one of 15 long-distance trains operated by Amtrak. LeadDog is Amtrak's social media AOR, but it does not have one specifically for PR. This story was updated on March 5 at 10:42 AM with more information about Amtrak's agency relationships.